When we undergo a surgical procedure, the expectation is that our health will be improved afterward. Whether it is to undergo heart surgery, knee surgery, back surgery, etc. we believe that the procedure is necessary to get back to full health. 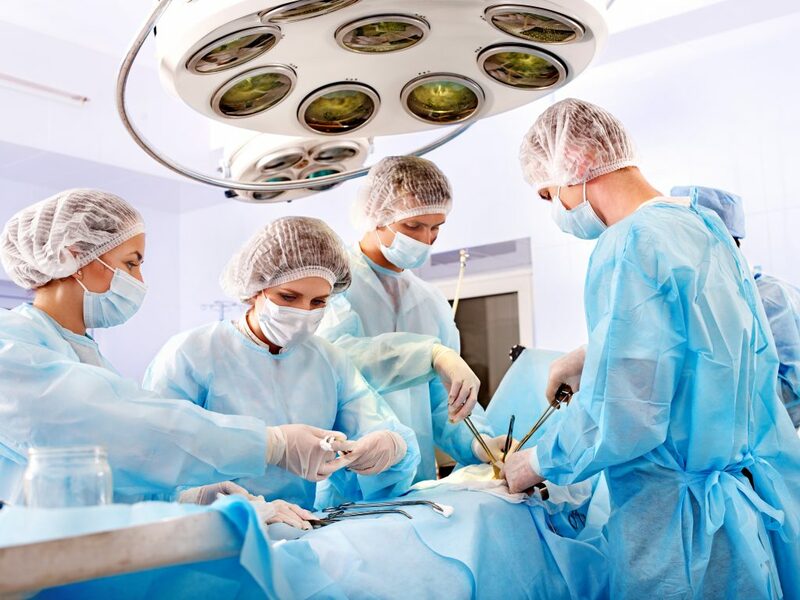 Unfortunately, in many instances, patients undergoing a surgical procedure wind up suffering serious complications and potentially-deadly side effects. A prime example can be found in patients who had an IVC Blood Clot Filter implanted in their body. This device is tethered to your inferior vena cava (IVC), which is the largest blood vein in your body and is designed to prevent the formation of serious, life-threatening blood clots that can form and travel through the IVC to your heart or lungs. CF Bard is one of the largest manufacturers of these blood clot filters and makes three different types. These filters are implanted inside the IVC vein via a surgical procedure. The device then forms a type of a basket with a screen so blood may travel through the basket, but blood clots are not able to. These IVC Filters were supposed to be a major advancement in preventing deadly blood clots from taking people’s lives. Unfortunately, it appears this medical device has proved to be more of a nuisance than a life-saving device. IVC filters have been found to fragment or migrate from the IVC to other parts of your body. This can cause serious, permanent damage including perforating the IVC and other body parts or even allowing blood clots to pass the device and travel to your heart or lungs, causing potential death. A recent medical study found that patients with IVC blood clot filters were actually at a higher risk of developing blood clots than patients without the filter. The study found that over 35 percent of patients with IVC blood clot filters developed blood clots via deep vein thrombosis while 27 percent experienced a similar clot without the filter. A 2015 study published in the Journal of Vascular Interventional Radiology discovered that the effectiveness of IVC filters is sporadic and can vary based on the brand of the filter. For example, the study found that Cook Medical’s CelectIVC filter caused serious internal perforations (i.e. cuts) in 43 percent of patients while the Option filter, manufactured by Rex Medical, had a perforation rate of zero percent. Approximately 86 patients had the Option filter implanted while 86 patients had the Celect filter implanted. When these filters fail, causing major internal damage, in many instances they cannot be removed, which is even worse. In effect, once you have one of these IVC filters implanted, it is going to remain inside your body for the rest of your life, even if it fragments or migrates in your body. The Recovery filter by Bard, along with the G2 and G2 Express is designed to be permanent devices. Removing an IVC filter can be attempted, but it involves a second surgery. However, if the filter has fragmented or migrated to a different organ in your body, many surgeons simply refuse to do the procedure due to the risks involved. A 2013 study published in JAMA discovered that less than 10 percent of retrievable IVC filters are actually retrieved successfully. If you had IVC filters in place for longer than 54 days, the risk of complications increases exponentially. IVC blood clot filter failures have become so common that some doctors are actually starting to specialize in faulty filter removal. One doctor has publicly stated that the Bard IVC filters are the most common brand he encounters during a removal procedure. CF Bard learned early on that their IVC blood clot filters were at risk of failing and causing serious damage to patients. An internal study of Bard’s Recovery filter found that the medical devices had high rates of fragmentation, migration, and risk of causing death. Nevertheless, CF Bard continued to develop and market their IVC filters. Furthermore, Bard did not recall the filter and failed to adequately warn patients of the failure rate of these devices. Instead, the company opted to self-correct by releasing the G2 series of filters as an “upgrade” over the Recovery filters. Turns out the G2 filters had the same problems as the Recovery filter. In a shocking discovery, a memo written by a Bard executive asked why patients were being subjected to the G2 filter when there are safer alternatives available. This executive’s concerns were ignored and the filter was marketed to patients and doctors. The G2 blood clot filter remained on the market for years with over 160,000 patients having this potentially-defective device implanted in their bodies. The FDA received over 1,000 reports of IVC blood filter failures including over 300 devices that migrated out of place causing potentially life-threatening damage to patient’s internal organs. Generally, it can take years for a medical device to receive approval by the Food & Drug Administration (FDA). This is necessary to ensure proper medical studies have been conducted to ensure the device is safe for public use. However, there is a loophole in FDA’s approval process known as 501(k) clearance. This fast-track approval process requires minimal, or even no, human testing. FDA clearance is based mainly on the medical device’s “substantial similarity” to existing approved medical devices. That’s like a vehicle regulator looking at a Toyota Corolla and saying it’s safe, therefore a Yugo GV must be safe as well. If you or a loved one had an IVC blood filter device implanted and suffered complications, contact an experienced personal injury lawyer right away. If an IVC filter breaks, migrates or injures you, the manufacturer of the product can be held responsible through a defective product injury lawsuit. This applies to any IVC filter manufacturer, not just CF Bard. Unfortunately, there may be no way to reverse the damage done by the defective filter, but an experienced Sacramento defective product attorney can pursue financial restitution for your harms and losses. A recovery of monetary damages via a settlement or jury verdict could help cover your incurred and future medical bills, lost wages, and pain and suffering. Bard is the most notorious IVC filter manufacturer with so many complaints filed by patients that the litigation surrounding Bard filters has been consolidated into multi-district litigation. This is where multiple lawsuits are combined and managed by a single judge. But it’s not just Bard. Hundreds of lawsuits have been filed against multiple IVC filter manufacturers. There are actually two multi-district litigations (MDLs) focused on these defective filters in the United States. Nearly 300 of these lawsuits are against Cook Medical. Another MDL is focused exclusively on Bard IVC filters. The injured patients who are the plaintiffs in these lawsuits allege that the IVC filter manufacturers were aware of the serious risks and complications associated with these devices and failed to tell patients or medical practitioners. Why? Because these manufacturers wanted to generate profit. Informing your consumer base that your product is faulty and may cause serious injuries is not a pathway to profit. Bard is already agreeing to settlements in some of these lawsuits. For example, after ten days of trial in the U.S. District Court of Nevada, Bard reached a settlement agreement in a product liability lawsuit that alleged a patient had an IVC filter break inside his body and perforate his heart, according to aboutlawsuits.com. As of the date of this posting, no Bard IVC filter lawsuit has gone all the way through a jury trial to verdict. It is anticipated that trials will commence in the fall of 2017, according to the Legal Examiner. There appears to be a substantial amount of evidence that patients are at risk of suffering life-threatening injuries due to these IVC blood clot filters. If you or a loved one suffered complications from a blood clot filter, call an experienced personal injury lawyer for more information. I’m Ed Smith, a Sacramento personal injury lawyer. If you or your loved one has suffered injury or passed away due to a defective medical device, please call me at 916.921.6400 for free, friendly advice. Client Reviews are available on Yelp, Google, and Avvo (an organization that rates lawyers).